Whether turfing or seeding it's all about site preparation. This includes drainage, dealing with soil lawn pests and diseases; ensuring that the nutrient and PH of the soil is at its optimum to ensure strong viability of turf or seeding of lawns. Laying a new lawn is more expensive than sowing seed, but it gives an instant, lush looking lawn as soon as it is finished. Meadow turf is turf which is cut from an ordinary meadow, it is the cheapest type to purchase but will contain mixed grass types and weeds. We usually advise the use of meadow turf if children or pets are going to use it as it is quite hard wearing. Specialist turf is a much better quality, it comprises a known type of grass suitable for lawns, and it should not contain any weeds. 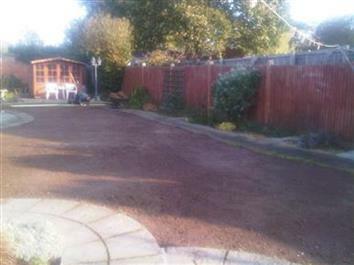 Turf is best laid in autumn and early spring when the soil moisture content is at its highest. They can be laid later in spring through to late summer but they will need more attention to ensure they do not dry out. 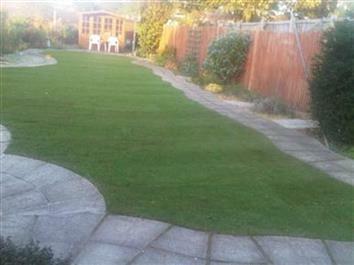 We offer a full turf laying and maintenance service.